are printed by a hot foil printing process, this page explains a little about the process and it's history. When you look at our range of products, the first thing that probably catches your eye is the precision, the depth of colour and the design versatility that we can produce. All of this is possible thanks to the technique we use to get our printing done; the hot foil stamping or printing process. This process is gaining adherents day by day and with good reason because the finish and elegance that we can achieve with this printing technique is simply stunning. Although the advancement of technology has made it possible to get 100% accurate results and to enable printing of virtually any design today, however complex, the process itself is not exactly new. What is hot foil stamping / printing? 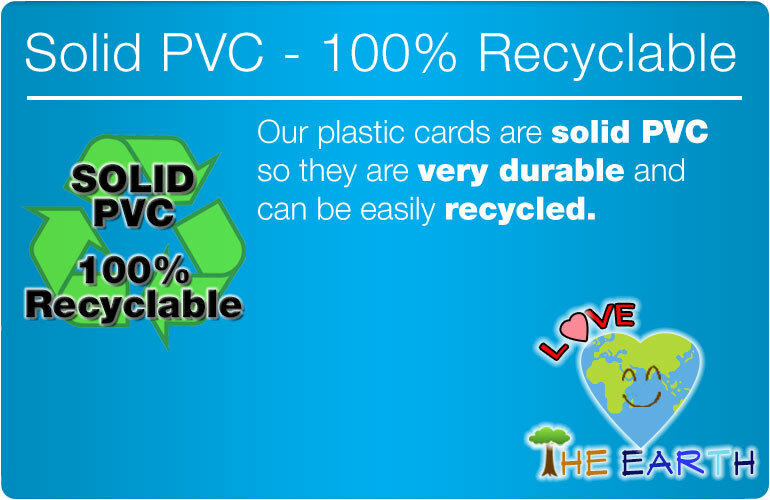 It is a special process that is used for printing onto different surfaces. The process requires heat and pressure as well as metal dyes and foil. During printing, what happens is that the die (that has the design to be printed) comes in contact with the foil film. Thanks to the heat and pressure in force at this time, a wafer thin layer of the foil film is actually transferred onto the surface on which you need the print to appear. 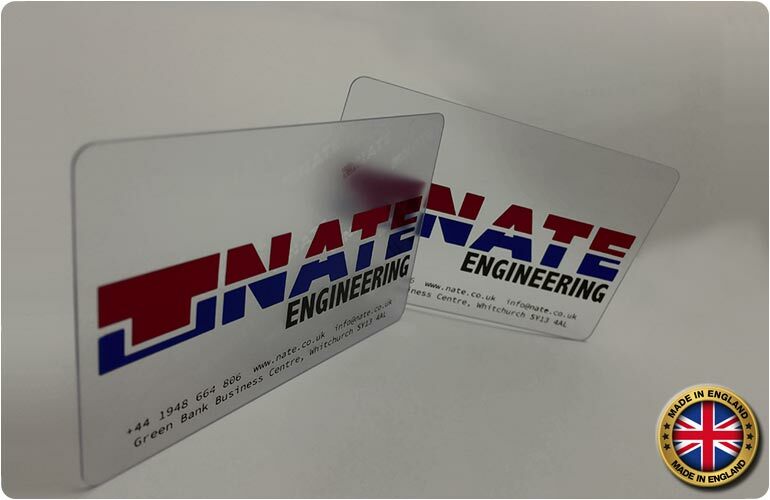 The metal plate or die is hot and this ensures that the foil only sticks to the surface in the shape or form of the design that is on the plate or die. As you can see, this process is perfect for getting a stunning metallic finish on the surface because it imparts a shiny, glossy print on it. At the same time, the print is not garish because it reflects the true metallic nature of the foil itself and it is not artificially created through paint or dye. 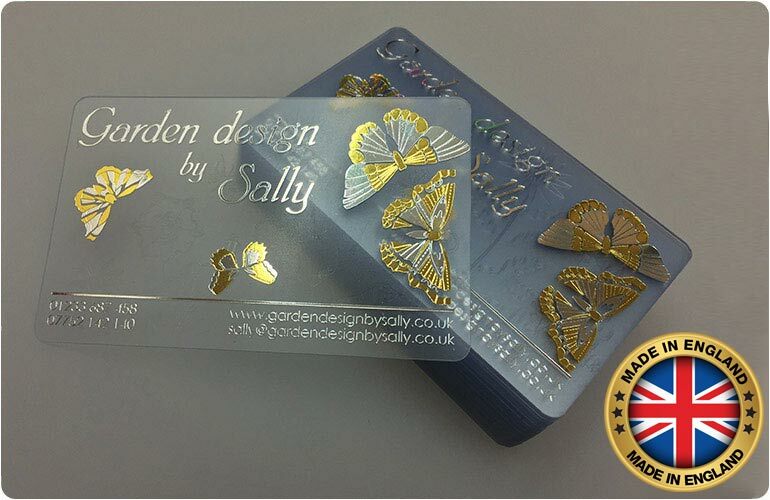 The limitations that many people assume comes with foil stamping or printing is that it works well only with metallic finishes and a wide range of colours cannot be achieved in the output. However this is far from the truth because foil rolls are available in a wide range of colours today. In fact, you can even get color foil rolls in a variety of finishes, such a matt finish or glossy finish. 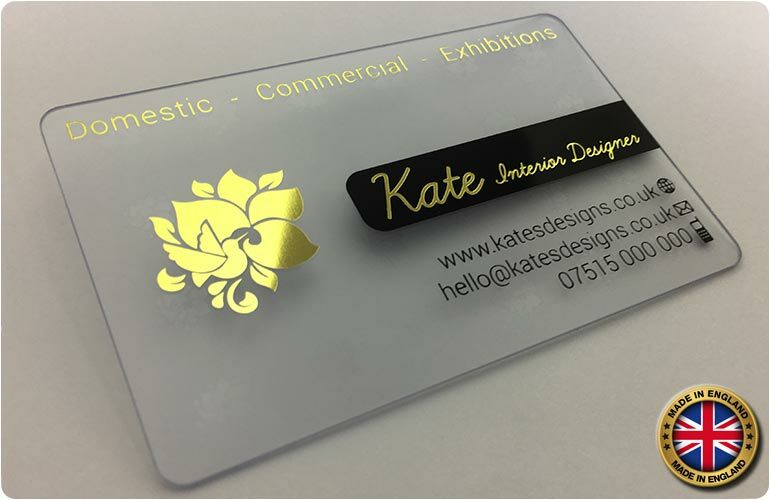 The most commonly used foils are metallic shades like silver, copper or gold but this is only because this process yields such spectacular results with these and such results are not easy to obtain with any other printing technique. If you are familiar with the letterpress process or engraving, you will see that the hot foil stamping/ printing process is quite similar. Here, too, the color is applied onto the printing surface by exerting pressure over the die or metal plate with the design. This printing / stamping method can be traced back to ancient Egypt although it has evolved quite a bit since then. Back in those days, the Egyptians used to hammer gold sheets until they became thin like foil, merely some 0.0001 mm thick. The gold foil was then used to decorate the pharaoh’s coffin, or the mummy itself or also as jewellery for the royals. This can be said to be the first instance of foil stamping although heat was not in the picture at this point. Later, during the Middle Ages, machines were used in place of manual labor to create embossed designs on surfaces that were then embellished with gold foil. You will find that thin gold leaf covered bibles were the rage in these days and the popularity of this decorative printing technique made it quite popular and widespread. In the 19th century, right at the beginning, the technique underwent yet another transformation that brought it closer still to the present day method that we use. The printing was simplified now by affixing the gold foil to paper to create paper- foil rolls. Heat began to be used now to make it easy to transfer the gold from the paper onto the printing surface, more efficiently and effectively. Not only was a better, more precise design created with gold, the gold foil was also affixed to the print surface better, thanks to the heat factor. It is important to mention the name of Dr. Ernest Oeser, who was the first to patent the gold and color stamping foil in 1892. He used 23 carat gold powder or bronze powder along with dyes to get rich metallic shades in the output. As the years went by and gold prices escalated, other, more affordable metals came to be used in the same way to create different metallic finishes. Other issues, such as the tarnishing of bronze were also tackled by bringing in various other kinds of metals to get the printing done. Today, it is not just metals but also different hues that are transferred onto surfaces using hot foil stamping or printing. Hot foil stamping may mean different things in different applications. 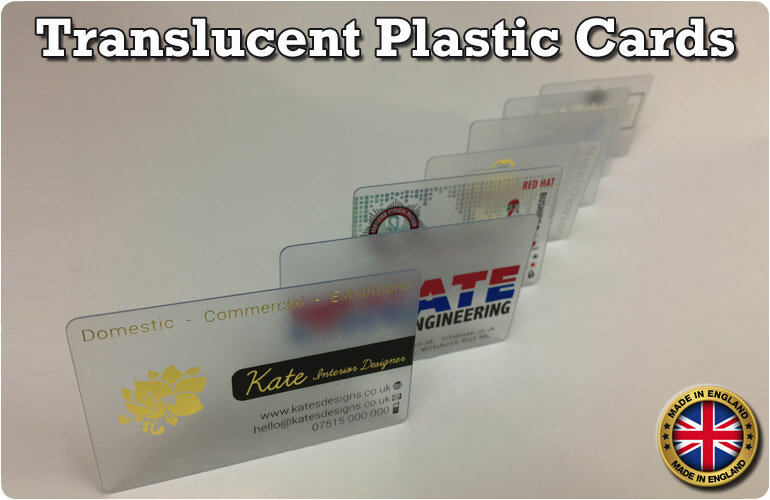 The term is used to describe simple foil stamping, embossing along with foil stamping, holographic foil stamping and also foil embossing on structural embossing. The foil used for hot stamping is made up of several layers that include a layer of adhesive. When the pressure is applied against the foil through the die and the heat acts upon the foil at the same time, the adhesive layer kicks into action and helps fix the foil onto the surface. Helping this along is the fact that the release layer is also melting at the same time. There are different types of foil paper that can be used to get very different finishes on the printing surface. The metallic foil paper is an all- time favourite that adds shimmer and glitter to the print design. You can pick silver, gold, copper, bronze or any other metallic sheen and get your hot foil stamping done with the foil. Metallic color foil paper is also available in plenty and these give your colors an added sheen that makes them even more visible and lustrous at the same time. Matte foil paper gives you a duller finish that is sober but quite classy. 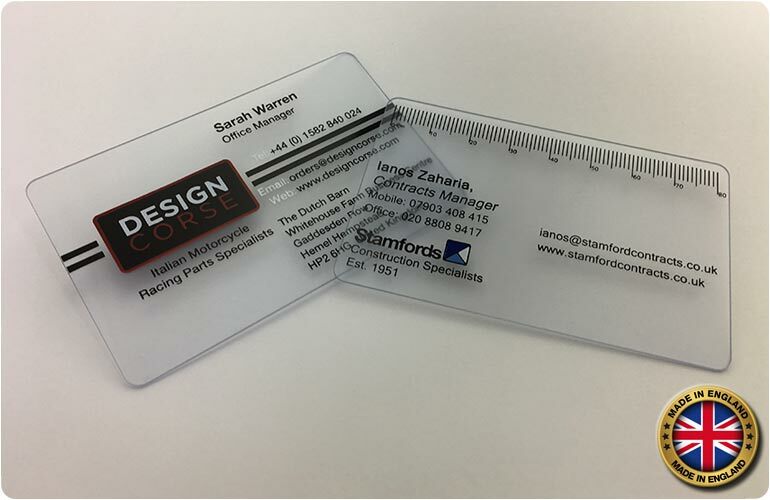 These are good choices for printing business cards especially those with darker shades contrasting with whites because here the true impact of the matt finish really becomes evident. The gloss pigment foil is, as the name suggest very glossy and shiny while not giving a metallic sheen. If you want a more artistic, painted look, this is the one to choose. 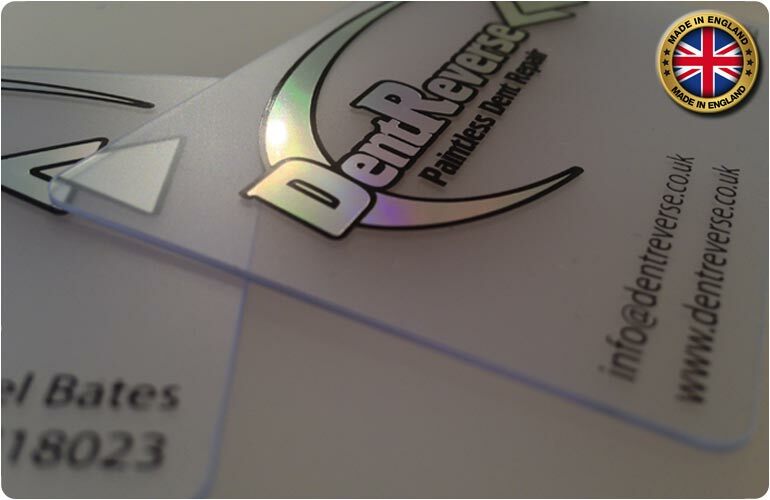 Holographic foil paper is also quite popular these days with its unique effect and somewhat exotic look and feel. It is possible to use two different types of foil paper with each other for a single printing job but care has to be taken to ensure they are both compatible with each other. 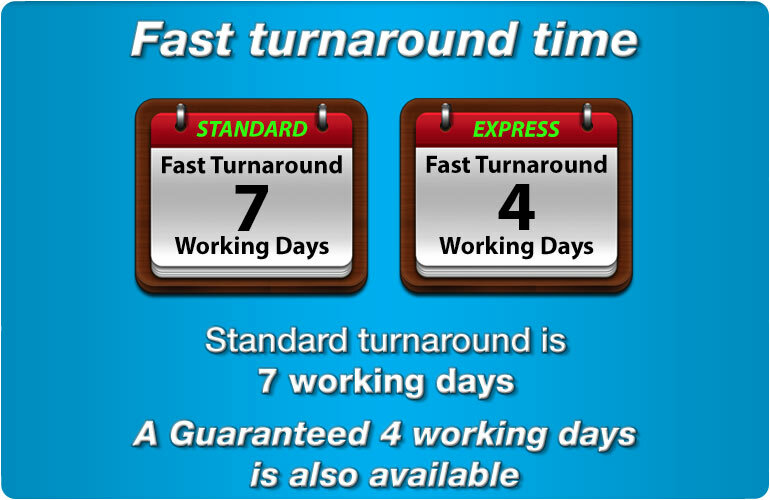 This is why it is best to go with a reliable and experienced printing service provider like https://www.cpcards.co.uk/ when you need high end printing done on business cards or loyalty cards for your customers. 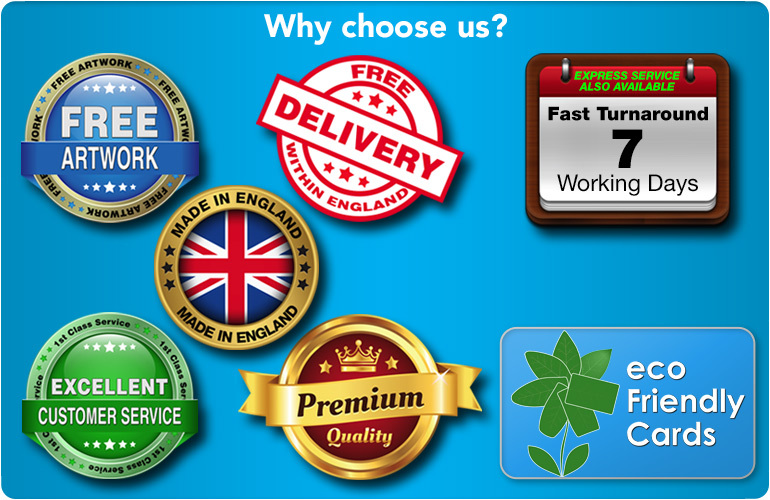 With free artwork, free delivery and world class quality, we can give you results that exceed your expectations. Foil stamping does not use any inks so there is no question of a series of prints turning out with hue variances when you are printing in bulk or the print smudging. The output brightness or colour of the metallic colours does not change depending on the plastic colour that you use because the color is totally opaque and rests on the surface of the plastic. If you need to print on vibrant metallic colours, foil stamping is the perfect choice. 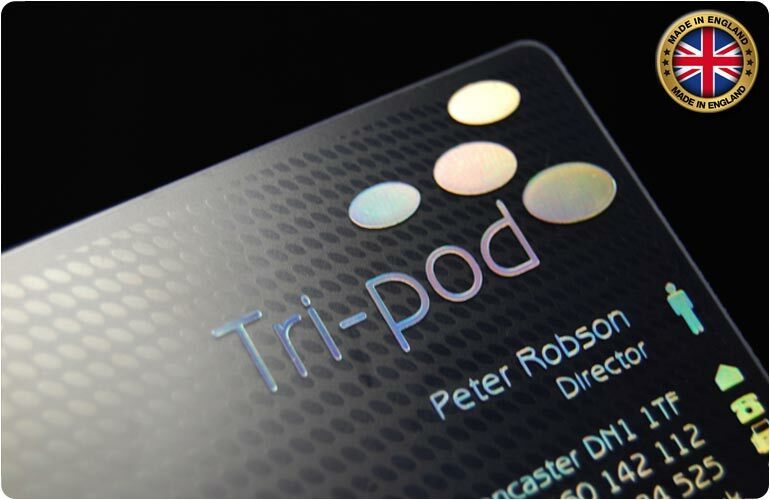 A wide variety of finishes make foil printing very viable no matter what kind of use you want the printing done for. For example, you can get a marbled finish or pearl finish or holographic one to create prints that immediately grab the attention of viewers. The shiny, glossy finish that foil stamping affords takes your prints to the next level in terms of audience appeal and visual impact. 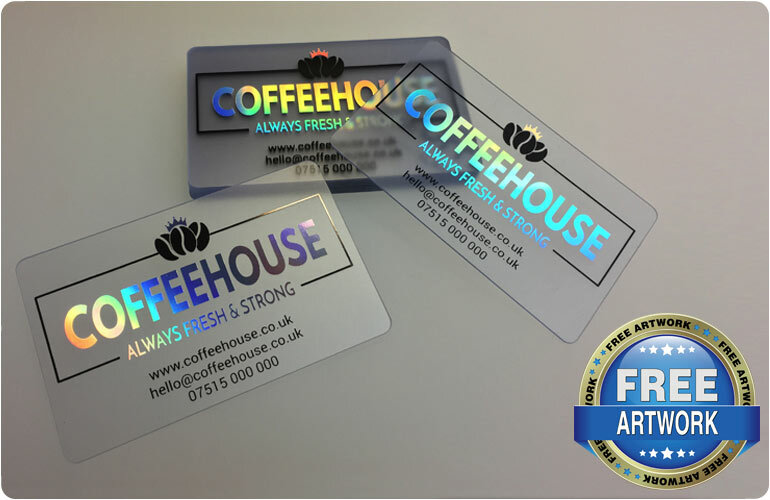 The fact that hot foil stamping can give such brilliant results is why we use it in our plastic color card creation business. It is a very impactful piece of printing that is sure to capture the attention of people and create a lasting impression in their minds. 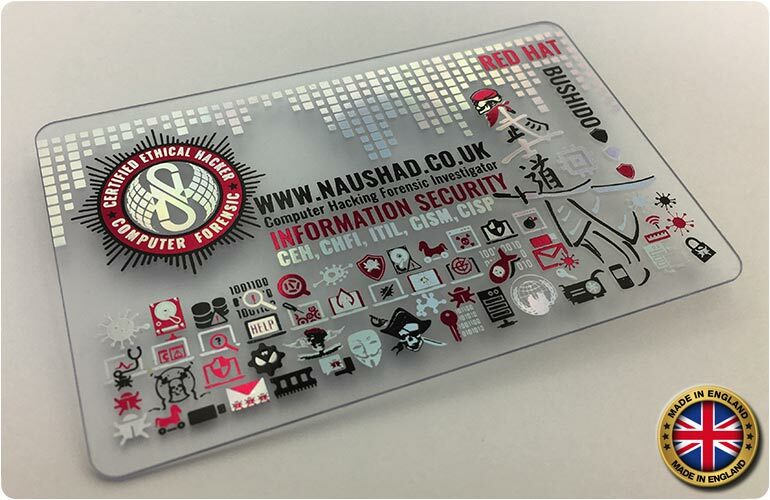 This is why hot foil printing or stamping is a good idea for visiting cards because you want your brand or business name to stick in the minds of the people you hand these cards out to. 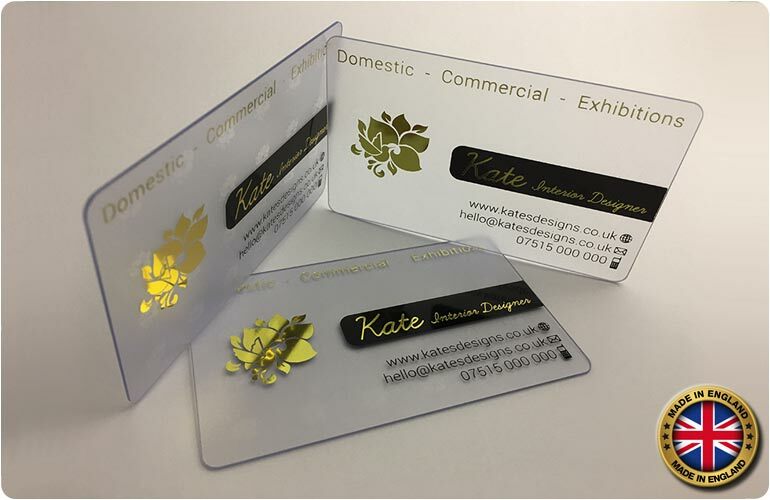 With the ability to transpose virtually any kind of graphics onto the card with the stunning effect of foil stamping, you have a simple way to create visually stunning cards affordably and quickly. Talk to us today about what you need and we will design a card for you that will take your branding to new heights and help spread the word about your business and service in the marketplace.